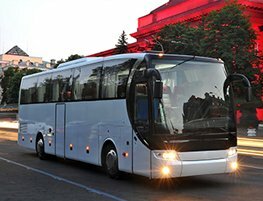 With our spacious 49 seater coach, you enjoy your trip in a relaxed and air conditioned comfort. These vehicles spot superior features, such as individual air conditioned vents for each seayt, tray and cup holder, drinks fridge, safety handles and mats, and more. These vehicles also spot advanced safety features such as automatic sensor-based headlamps, lane warning systems, stability control, and more. Your group can have a cup of tea, a cup of coffee, o some beverages to cool off, and relax in the plush seats, watching the spectacular countryside roll by. Our Bracknell minibus 49-seater coaches are ideal for long journeys, such as trips to London or themidlands, tag do or hen do trips to Amsterdam, Brussels, o some other place in continental Europ, or some other destination. However, these vehicles ate also highly preferred for conference transfers, school and college excursions, and a host of other purposes as well. Our Bracknell minibus hire service has a reputation for reliability and customerfriendliness, and delivering the best value. Contact our customer support team today and book the coach of your choice.